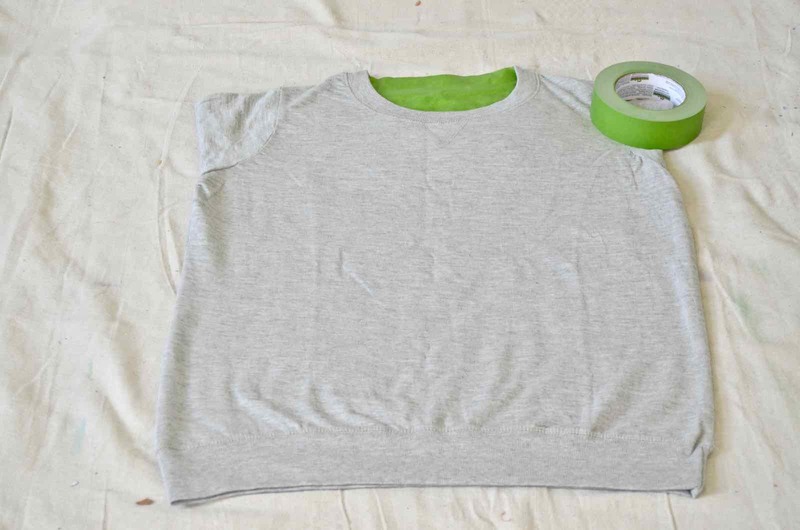 Wash and dry sweatshirt to remove any fabric sizing. Lay out a drop cloth over your work area. Step 2. Lightly dilute paint. 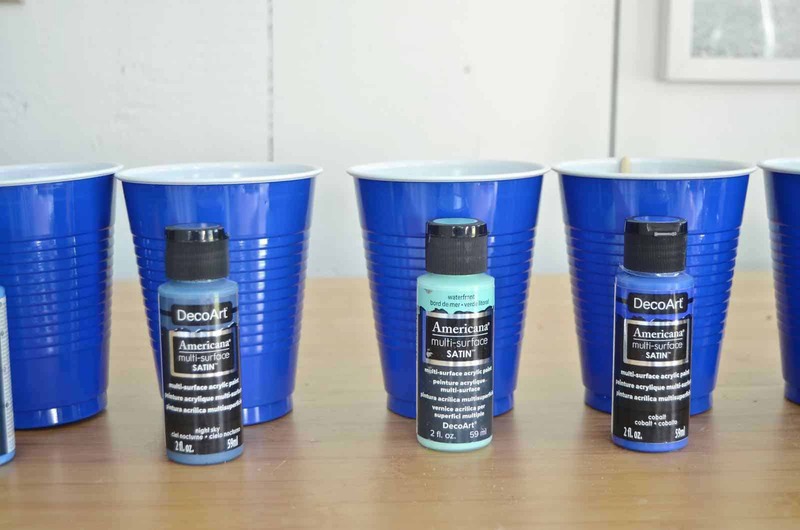 I mixed a tablespoon-ish of paint with *maybe* a small capful of water in plastic solo cups. Step 3. Tape off sweatshirt. I folded the sleeves under, placed a piece of cardboard between the front/ back of the top and taped off the exposed neckline. The smaller the brush, the smaller the splatters. I used a small brush that was roughly no more than 1/2-inch wide. Test your paint density first to make sure it’s not too watery or too thick. 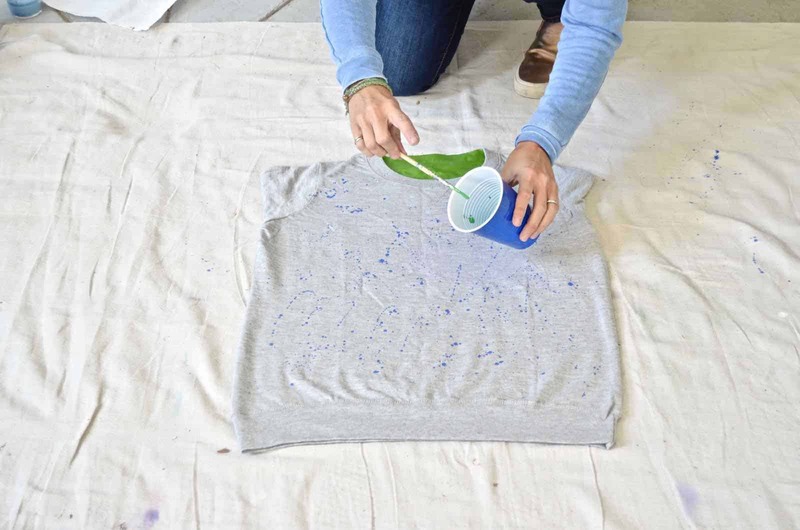 The paint should easily splatter and hold its shape on the fabric. I alternated between gentle flicking motions and tapping the paint brush. This is one of my favorite tops, and it honestly took 5″ to make and cost under $20. 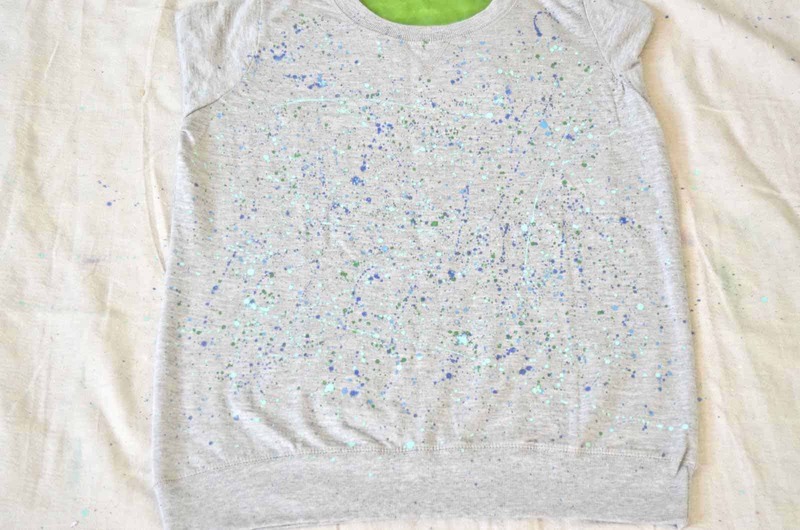 Also… because I used a fraction of my paint, I can make splatter paint clothing for miles! All things old are new again apparently!